Given his goth-rock pedigree, it’s perhaps not surprising that David J — supplier of the low end in both Bauhaus and Love and Rockets — should find himself stumbling into the creation of an “accidental” concept album about mortality. Yet that’s exactly what happened with the bassist’s latest solo effort, the haunting Not Long For This World. Speaking to Slicing Up Eyeballs from a San Francisco recording studio last week, David J explains the genesis of the dark, cabaret-infected album, which mixes original compositions — including songs about the late Spaulding Gray, Hank Williams and Jeff Buckley — with covers of tracks by the likes of Smog, Ed Harcourt, Tom Waits and Dennis Wilson. As for Bauhaus and Love and Rockets, both of which reunited at various points in the 2000s, David J notes a “sense of completion,” and seems reluctant, in the interview, to discuss either band. He does, however, explain just how he came to hop on stage to front a Love and Rockets tribute band (“it’s on the edge of almost like self-parody”). 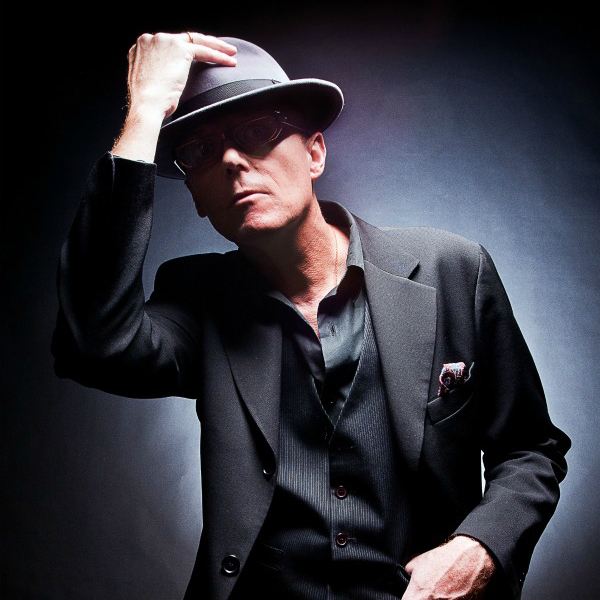 via Q&A: Bauhaus’ David J on his ‘accidental’ concept album ‘Not Long For This World’ | slicing up eyeballs // 80s alternative music, college rock, indie.